This local lady is an inspiration. From her work with the Charlottesville youth through a local non-profit to her 6am workouts, she’s a community leader that’s making a positive impact in Cville! I am one of the luckiest ladies in town. Not only do I work for a great local organization, The PB&J Fund, but I also work with some pretty fantastic people that make my long, exhaustive days worthwhile! They deserve to be mentioned so here goes my list: The lovely ladies that I work with daily, Courtenay Evans and Emily Wampler, the many local community partners’ staff Boys and Girls Club, Ready Kids, Charlottesville City Schools & Parks & Recreation, City Schoolyard Garden, VIA, and The Local Food Hub, and the wonderful families and youth in our community. 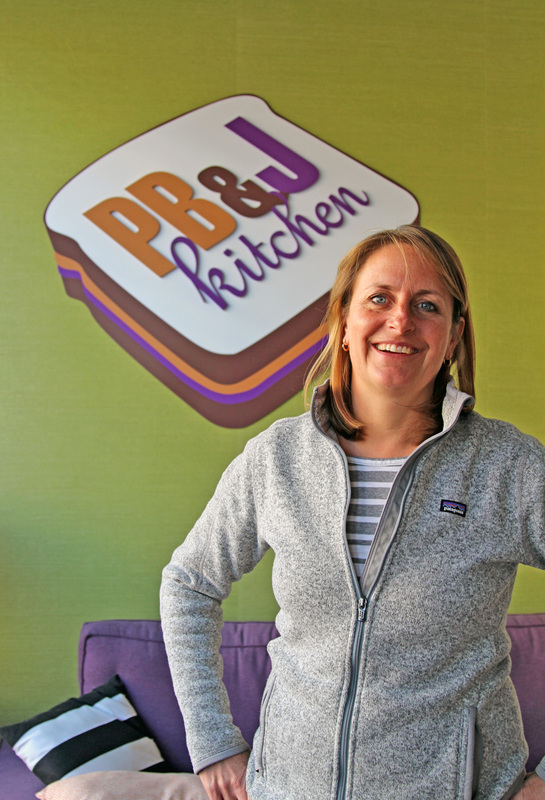 The PB&J Fund is a local non-profit that works daily with Charlottesville youth. We make it our mission to provide the resources and knowledge necessary to help develop a healthy diet. By working with community partners to provide healthy meals and teach cooking habits, it aims to address kids’ nutritional needs at each stage of development. I certainly do enjoy the pizza, beverages, atmosphere and friendship I find when I go to the Blue Mountain Brewery! My husband and I like to reward ourselves there when we finish a hike or a particularly long work week! Blood Orange Margarita at Burton’s. It is not offered year round, so I enjoy it while they have it on their menu. It is citrusy, but not over powering. Year-round I enjoy the simple ability to enjoy a beer/beverage at Lord Hardwicke’s with my husband watching a game of soccer! I “enjoy” surviving the ACAC group training class with Derek Laing on Thursday mornings at 6am. Derek challenges me weekly to be better than I was the week before. I am certainly not his star pupil and am surrounded by a bunch of true athletes! I enjoy their support and their ability to challenge me to make it through the workout each week. Ruckersville Antique Gallery. I don’t always buy something there, but it is fun to “hunt” for something unique/special.